Congratulations to Sidebar, for one lonesome yet BIG mention for Downtown Silver Spring in Washingtonian's Cheap Eats 2012, my favorite bar in the DC Metro area to drink and be merry. While Washingtonian's list mentions restaurants where you don't have to spend more than $25 per person (including tax and tip), I've included some additional restaurants in the Downtown Silver Spring area that they not only neglected, but where you can get your entire meal for two under $35. The Stage Burger Lounge, on Colesville, is located across the street from AFI with a nice space up front for people watching. You can get The Stage Burger for $6.45. Add small fries for $1.95 and you have a meal under $10. Lotus Cafe on Georgia Avenue is situated right next to Jackie's. You can get a (perfectly filling) small bowl of Pho for $6.50 or the large for $7.50. You could even throw in Spring Rolls for $3.50. There are other options other than Pho and you could easily have dinner for two for under $30. 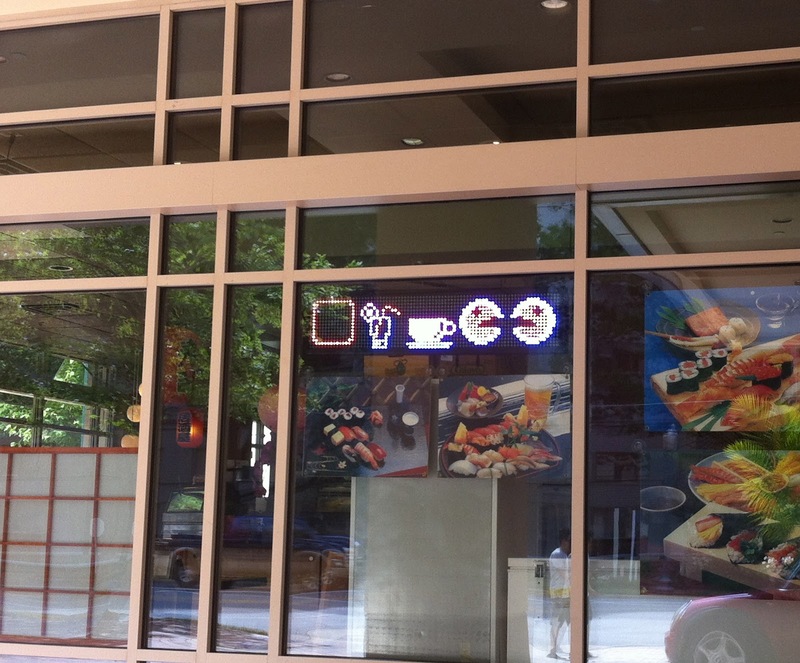 Thai Derm, also on Georgia, features most of their noodles pricing in the $9 range and other non noodle dishes ranging form $8.75 - $11. As per their website, they have a list of lunch specials you can get with rice and a spring roll for $5.95 Monday - Friday! You can also order the lunch special carry out via Eat24. 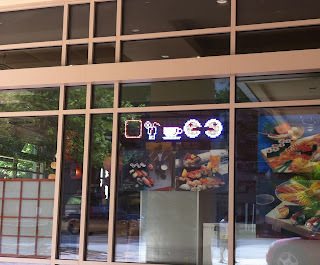 Ikko Sushi is located on East West Highway. You can score rolls from $4.99 and up. If you don't want sushi, their beef or chicken teriyaki rice bowls are $8.99. Dumplings are $5.99 and Shrimp Tempura $6.99. At Da Marco Ristorante Italiano on Colesville, it pushes the top of the pricing, but you can have dinner for two for about $30 - $35. You can find items like the linguine or penne pasta or $12, melanzane alla parmigiana (eggplant) for $14, lasagna bolognese for $14, penne trio for $14, gnocchi for $14. And if you go on a Tuesday night as per their website, you can get a 14" pizza from $9 - $12. 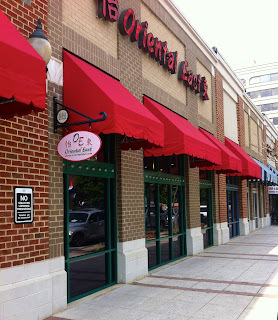 At Oriental East on East West Highway, their dim sum is available every day from 11am - 3pm, features items anywhere from $2.50 - $3.00/per item and from $5.25 - $12.95 for their soups and noodles. Adega Wine Cellars is located upstairs in the plaza. You can easily have a meal for 2 under $30. Their Grilled Fish Tacos are $12.99, Adega Quesadilla $7.99, Cappellini Fresca is $9.99. AND if you don't like any of their bar choices, you can purchase one of their bottles of wine for sale in their shop and they'll uncork it for you and serve it free of charge. Crisp And Juicy is located in the same strip as Oriental East on East West Highway. You can feed an entire family of 5 for $34 with their Superbowl platter which includes 2 whole chickens, large potato salad, large cole slaw, and a large rice & beans. Big Greek Cafe is located right on Georgia. You can easily have a meal for 2 for $20 - $30. There are about 6 starters to choose from under $5. Their platters are reasonable as well ranging from $9.99 to $13.50 (and all platters are served with a Greek salad and 1 side). If you go on a Wednesday, their Gyros are $5 all day! Although Kantutas is not in DTSS, it's just a 2 metro stops away on the red line and in walking distance from the Wheaton Metro Stop. At Kantutas, an authentic Bolivian restaurant, you can get an entire meal for 2 including beer for $25. The Silpancho is $12.99 and can easily feed 2 to 3 people. The Empanadas are $1.70 and they might be the best empanadas I've ever eaten (and I can say due to my upbringing, I'm an empanexpert). Can you think of others I missed that you'd like to see featured on here? Please don't hesitate to give me a shout! Yum! 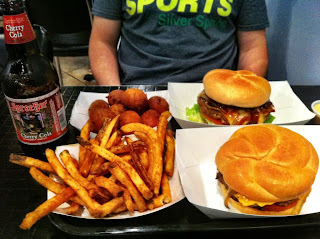 I'd probably include Ray's Hell Burgers in the Bistro at Ray's the Classics as well. Thanks for the mention! And welcome to the DTSS blogosphere. Great stuff so far. @Mike - You're right. I did forget the Bistro! I'll add it. @Jarrod - You're welcome! 2) Mandalay - Burmese restaurant by the Safeway on Thayer. A meal for two with appetizer is easily under $30. 4) La Casita - not in DTSS, but on Piney Branch Road between Dale Dr. and Silver Spring Ave. Their tacos are delicious and are only $2-3 each. Also, highly recommend the banana liquado. Great ideas, Rebecca! I couldn't find anything regarding the pricing for Sergio's when I was composing the list. Do you know if they have a website?